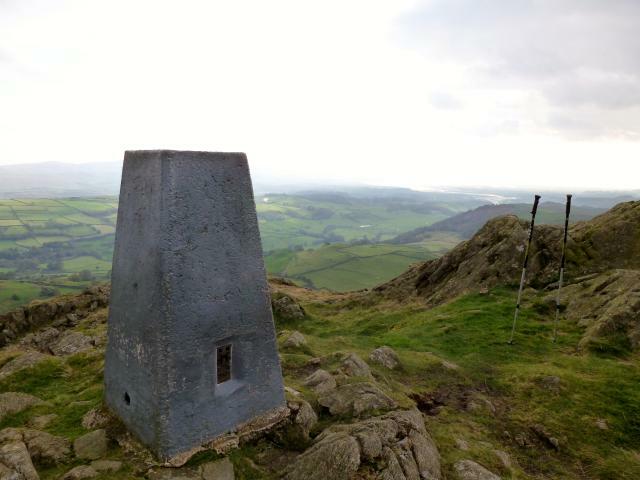 Is ranked joint 407th with 6 other trigs (more). 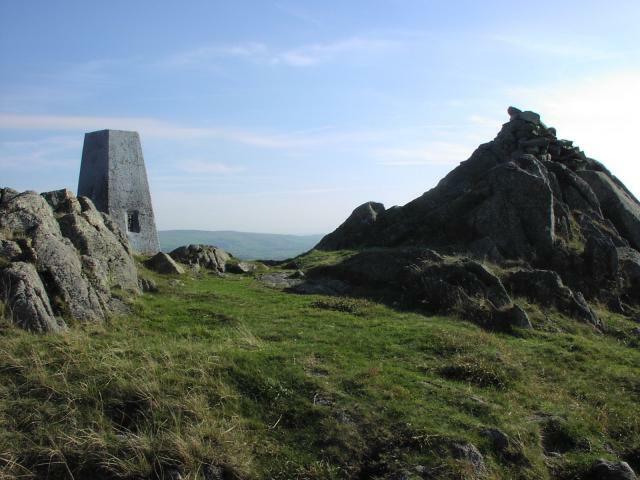 Walked up from Broughton Mills with Brunshaw & P61 on a Wainwright round. 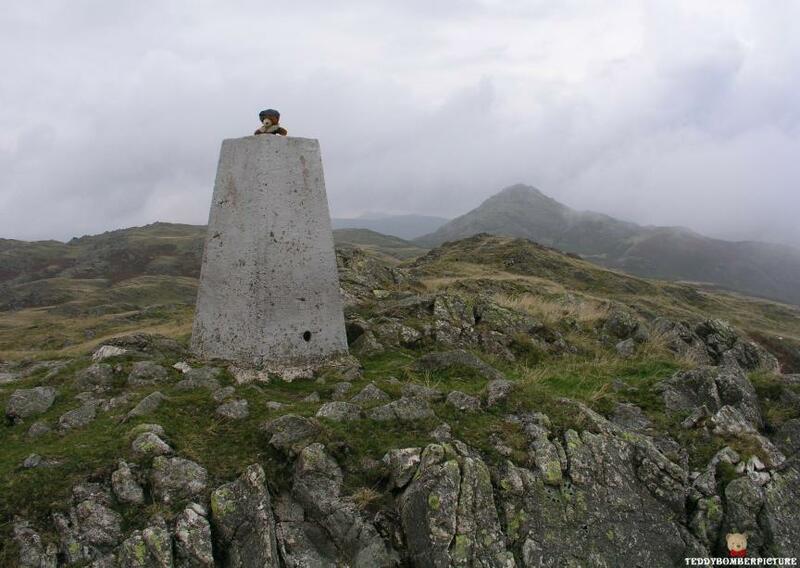 Dunnerdale Fell/Tarn Hill/Stickle Pike/Ravens Crag/The Knott. Fantastic walk amazing views good weather even with the half hour Hailstone shower.We had a pint at the Blacksmiths Arms before heading to Burney. 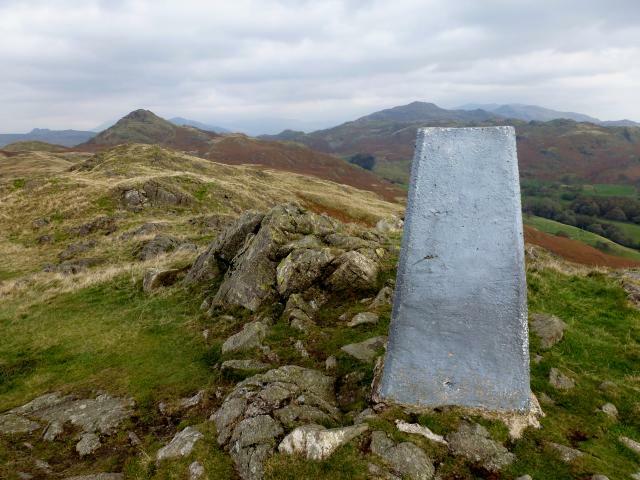 Great trig in amazing light today start of one of the best short rounds in the lakes,Up from broughton mills absolutely threw it down halfway round but the sun came out at the end finished up at the blacksmiths arms. Very nice location. Straightforward walk. Flying ants today so didn't hang about. Revisit. Approached from north. Parking for several cars off high point in road, Kiln Bank Cross, SD214932. 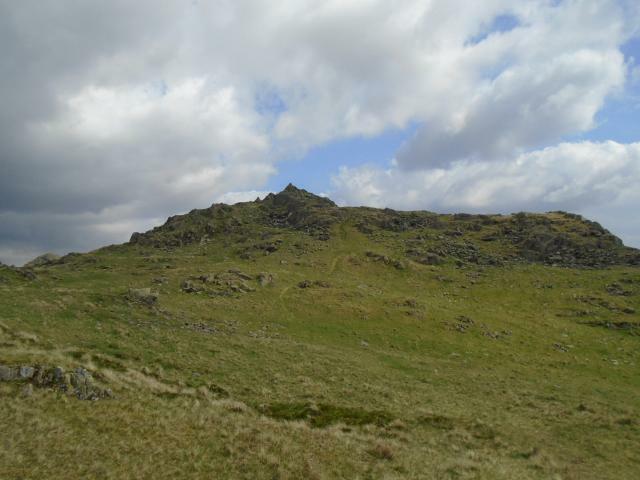 Passed through east side of Stickle Pike. 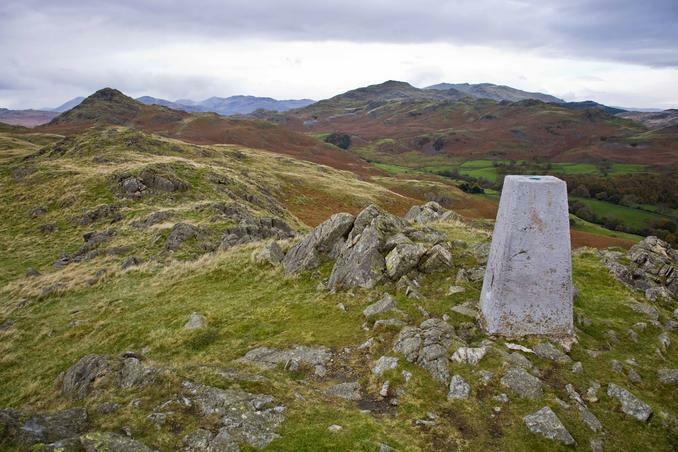 Keeping west of streams, the route continues southwest then south east to the summit. 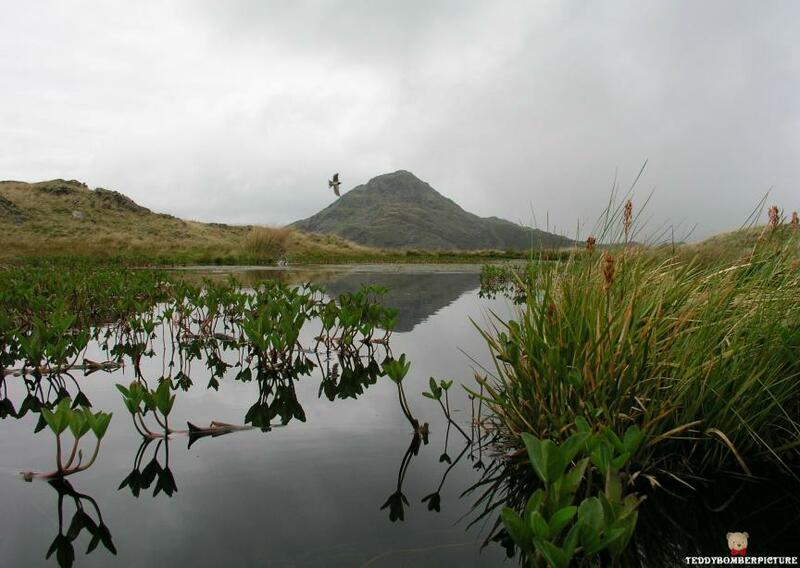 Grazing top within LDNP. Pillar in good condition. Spider retains replacement OS centre cap with deep indented letters, the original was still present in 1991 and the older shallow engraved type. 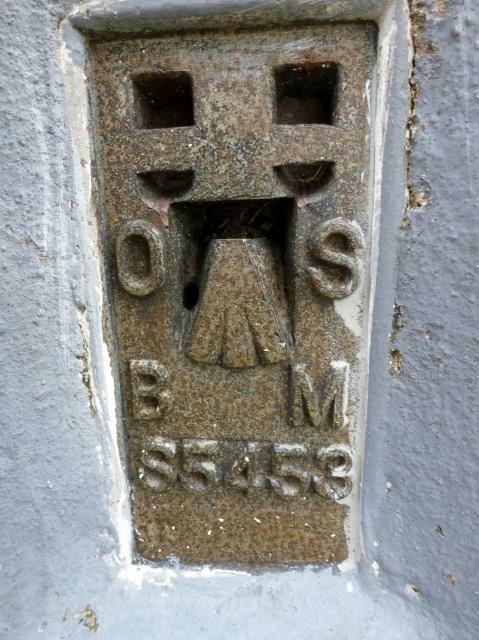 Flush bracket faces WNW, compass measurement 301�. Vented through NE and SE sight holes. Full 360� panoramic view. From Caw. Interesting scenery on approach. Poor visibility in mist. Parked at Broughton Mills. Easily found along good footpaths. 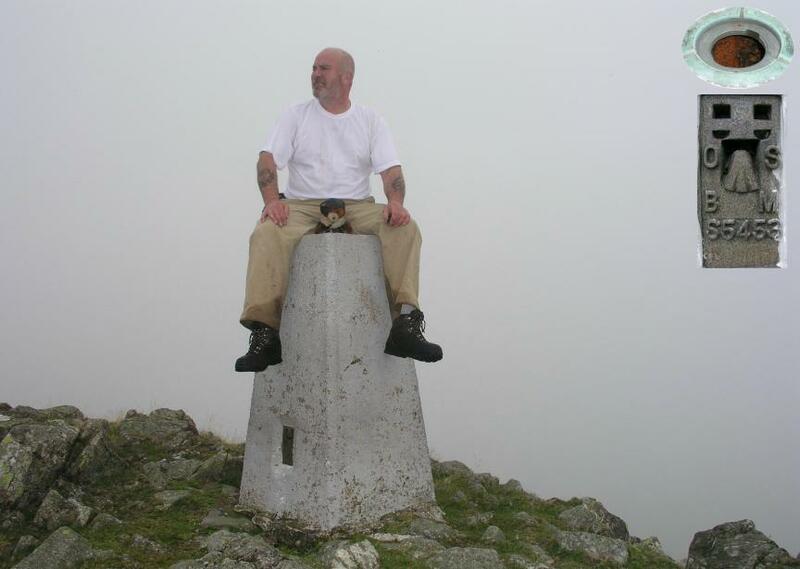 No views due to low cloud. 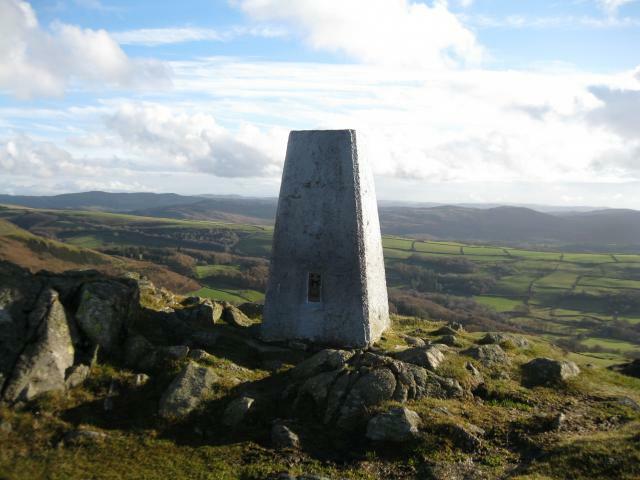 Great walk up from Ulpha road using bridleway path and then unmarked paths to trig point. 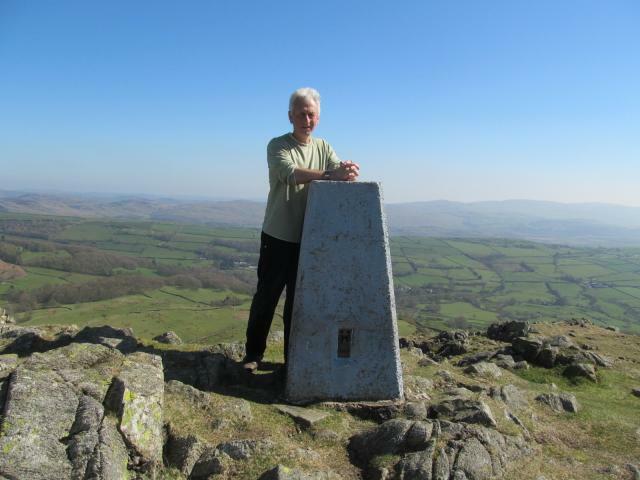 Walked up from old quarry s. of Ulpha. 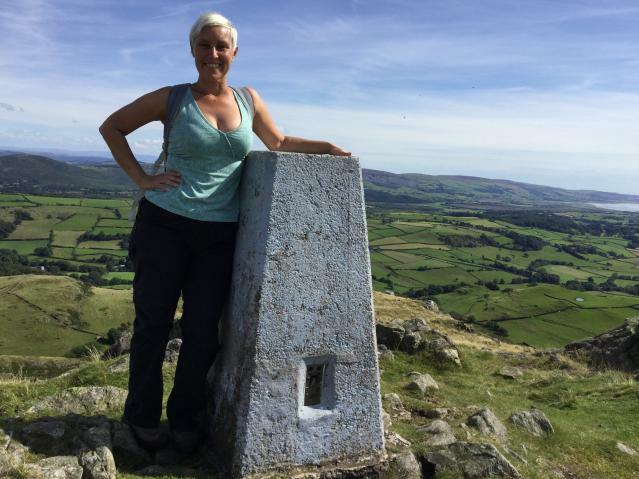 Brilliant day with fine views. Carried on to Caw. 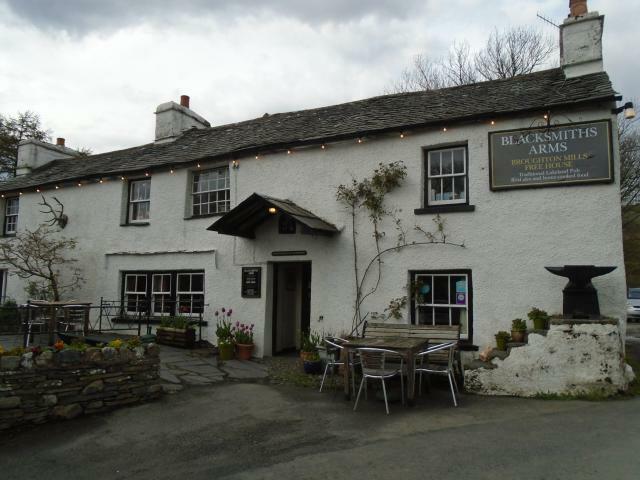 Nice walk up from Broughton Mills. Never saw anyone all day. Lovely fine autumn day. All intact. Old grey paint. 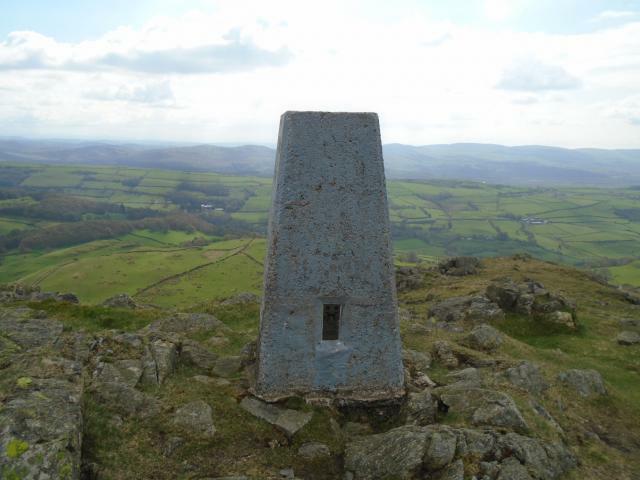 Light blue(rather than grey,I thought) trig on superb little hill and viewpoint.Up from Broughton Mills on tour of seven tops on pleasant Spring day. 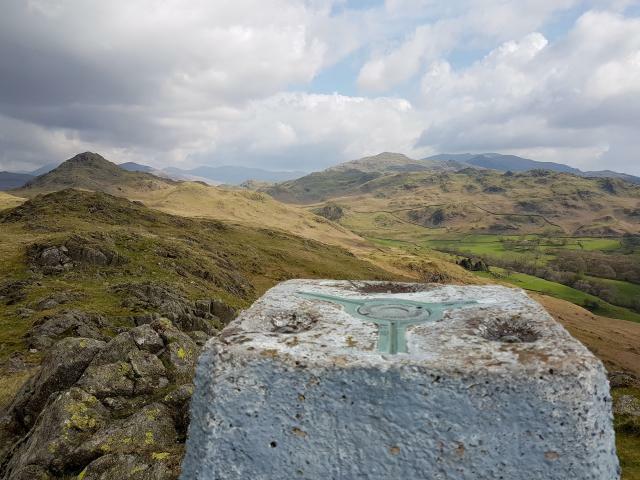 Parked Kiln Bank Cross - Great Stickle - Tarn Hil - Stickle pike - KBC.Grey painted pillar,good condition,OS cap,JLC SEC stamped on spider & two sight holes open.Excellent 360� views on a fine day. With Vic. High Moss hut weekend KMRT. 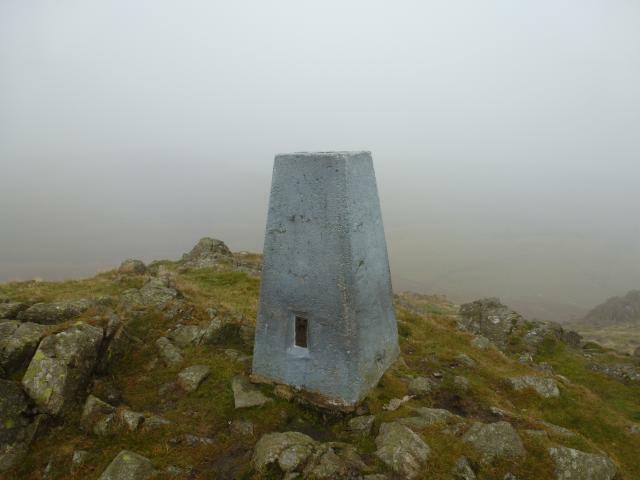 Another trig painted with the same pot of paint as Caw?! 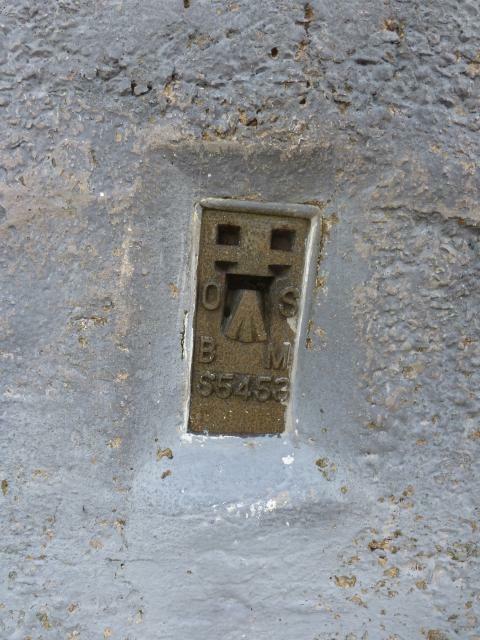 There's another claim to fame in my eyes: a missing OS plug has reappeared!! That's a first for me. 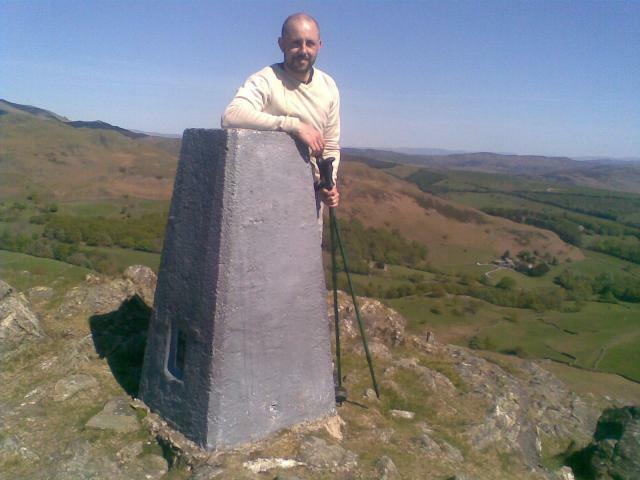 Great Stickle Trig and summit cairn. 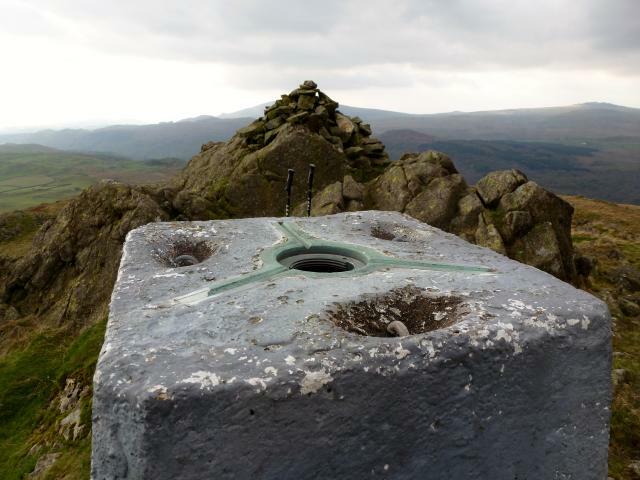 Great Stickle OS plug has reappeared!! 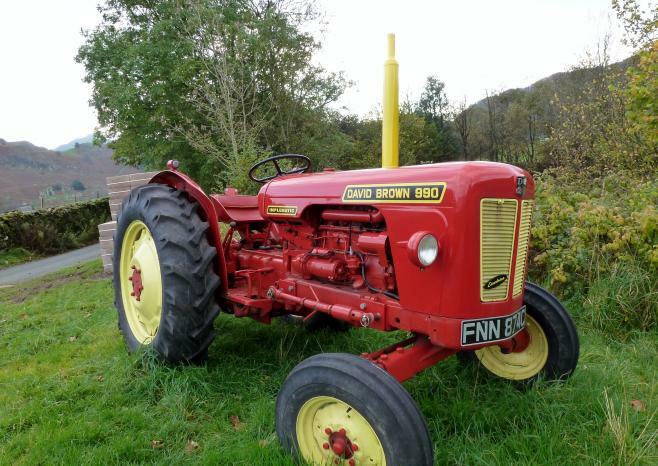 Reported missing as recently as Sept 2013. 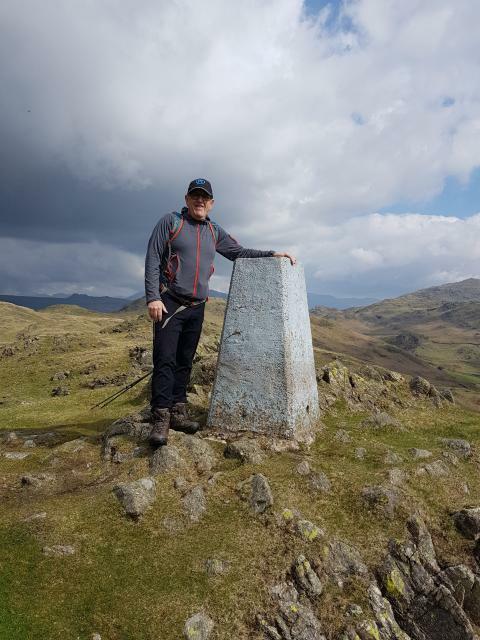 Has Mr Allen Key had a pang of conscience? Only realised that it was supposed to be missing when I logged it, otherwise would have checked more thoroughly to see whether it was actually fastened down. 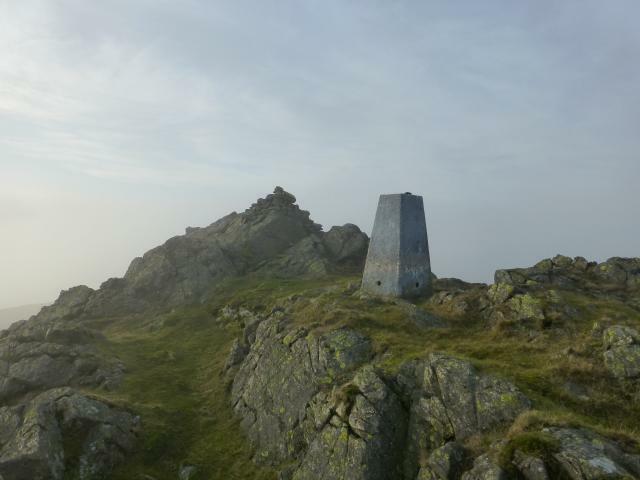 Spider centre open, trig painted grey? 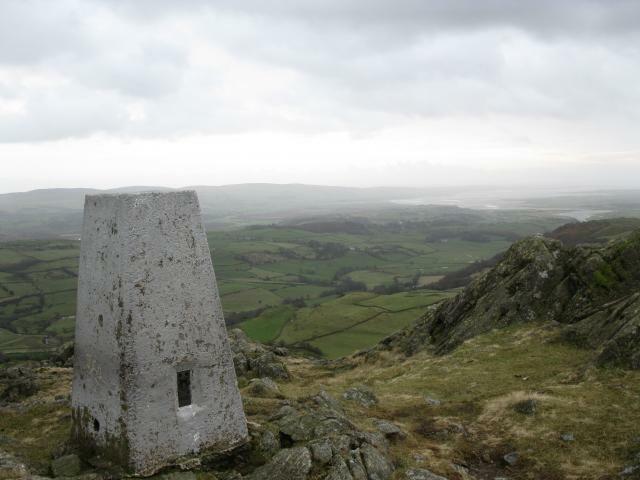 Doing a caching round of the Dunnerdale fells. Parked at kiln bank cross walked over stickle pike first this is a more matterhorn shaped,Trig is painted in grey gloss again plug missing , again the views are stunning Wind strong sw.
Had just visited nearby Caw, then climbed Stickle Pike, so it seemed only natural to incorporate Great Stickle into our itinerary. 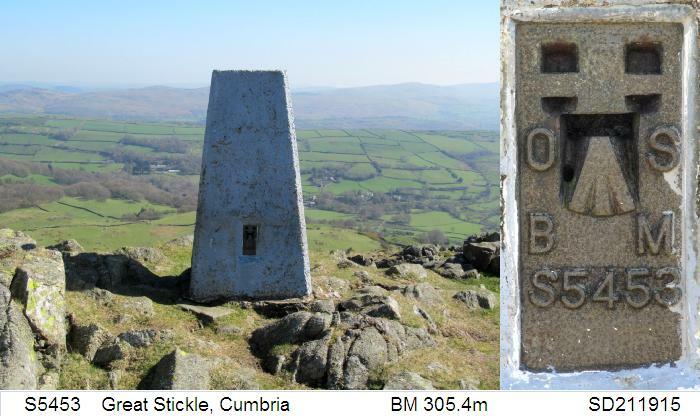 As already mentioned by an earlier trig-pointer, Great Stickle is less impressive than Stickle Pike and perhaps the names ought to be switched!! 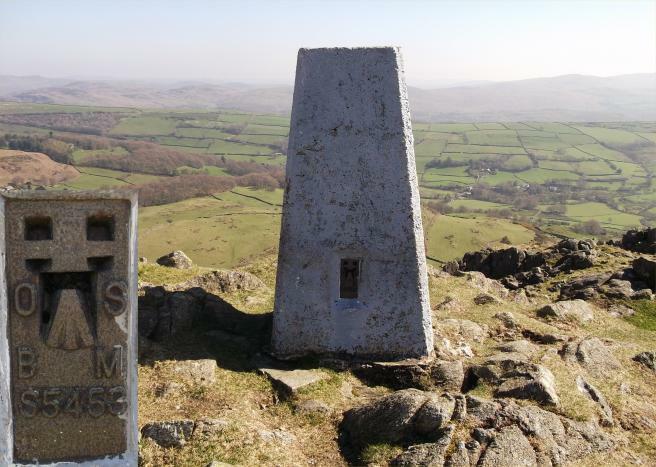 However, a clear and sunny day (albeit rather windy) provided good, far-ranging view towards Black Combe and the sea to the south. 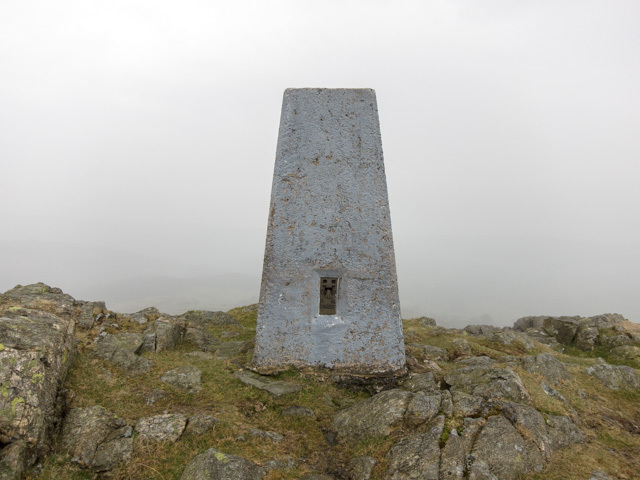 A grey trig point, in good condition and easily accessible. 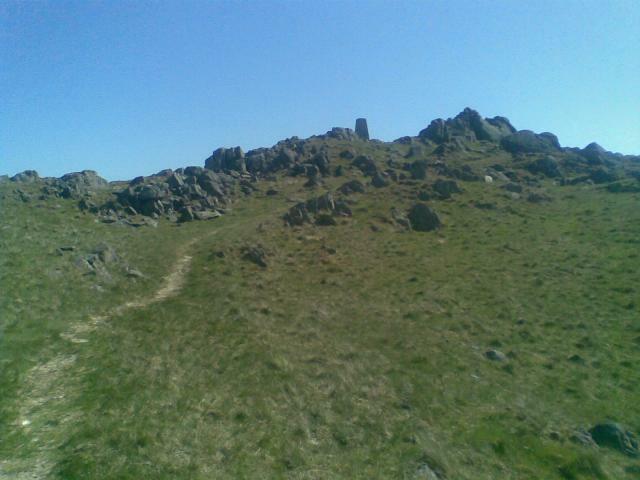 There's a small and rather forlorn cairn perched on the rocks beside it too. 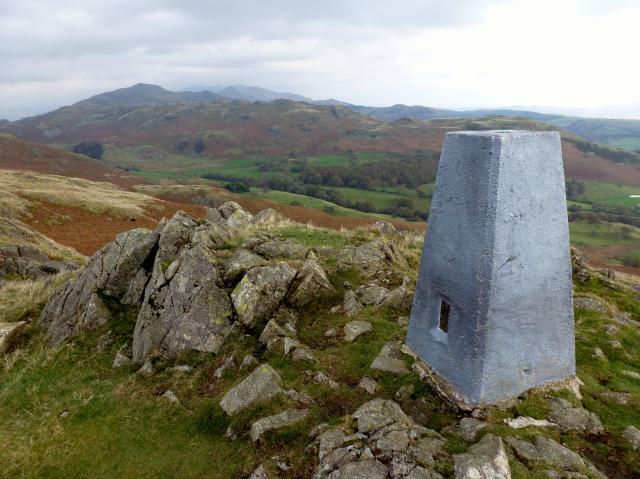 Visited whilst out with my walking group - The Irregulars, LDWA - on a walk visiting some of the Wainwright Outlying Fells. 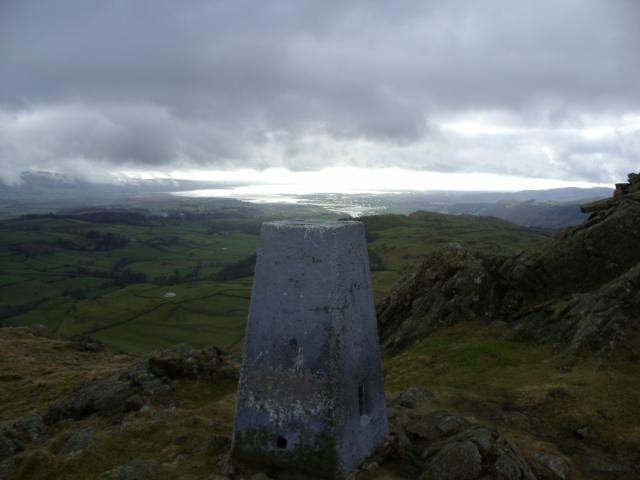 Loveley day to be up here with some extensive views of the surrounding area. Circuit of Dunnerdale Fells from Ulpha. Wind swept gorgeous spot to stop. Not met another person all day. 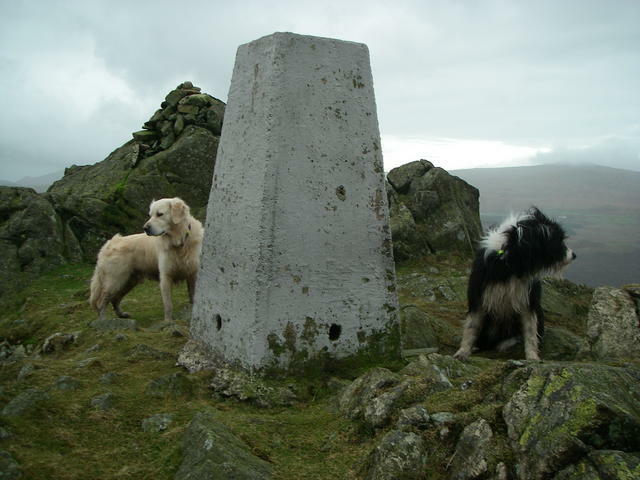 Good routes up from the west. 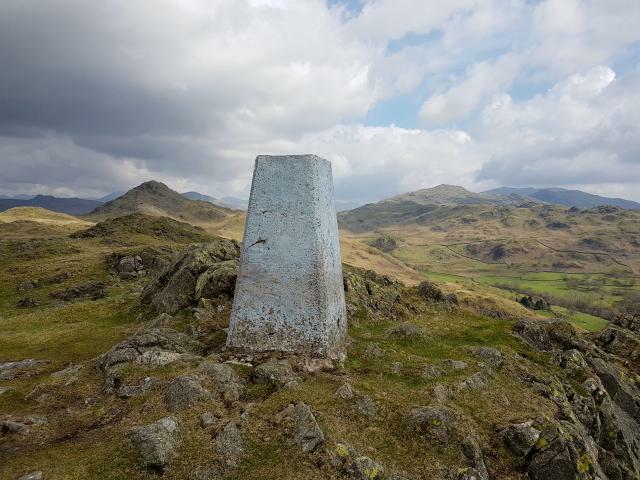 Well this is it folks my last Cumbrian Trigpoint I make it number 242 Parked Kiln Bank Cross and went straight up Stickle Pike wonderful place then followed the grassy path over to Great Stickle less impressive than Stickle Pike (I think the names should be swapped round ?) 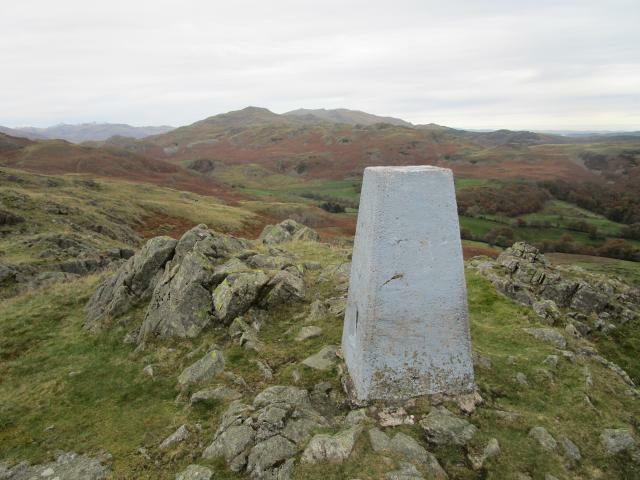 but I don’t care after 18 months hunting mainly Cumbrian Trigs here it is ! 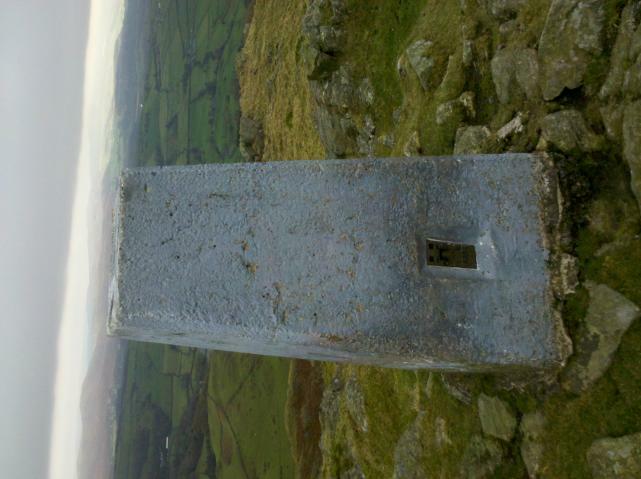 My first grey painted Trig odd that ! 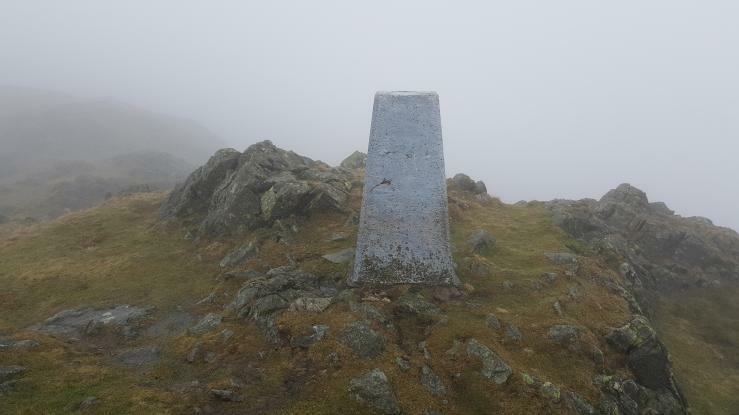 Not much in the way of views today due to the misty cloud but still a lovely place, walked back over Tarn Hill (well named -six small Tarns to be seen) then down round Stickle Tarn and down to the car. 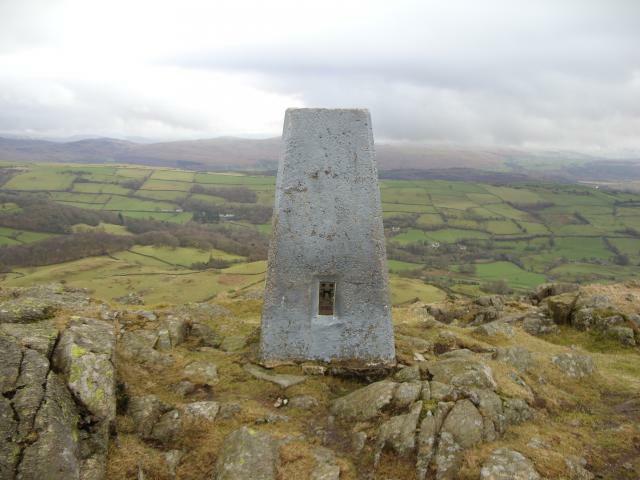 I will only be bagging the more notable Trigs around the uk from now on and I’ve got some Wainewrights to see to. 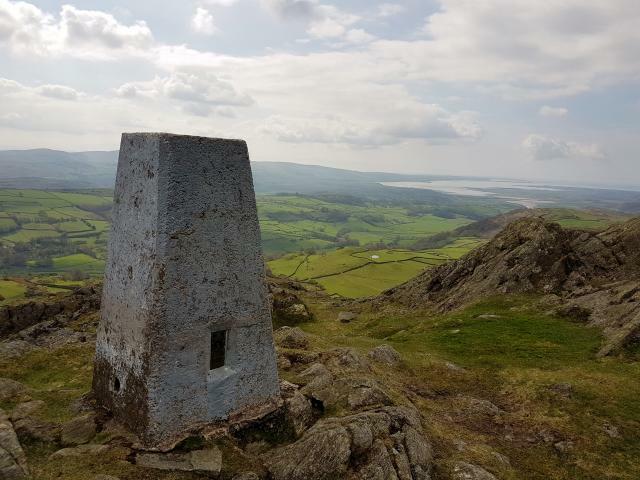 We walked from the Broughton Mills/Duddon Valley road summit,great walk as always just a pity the fells around here are becoming ruined by off road motorbikes.Lovely view from the summit,the grey paint coated on the trig is now peeling. 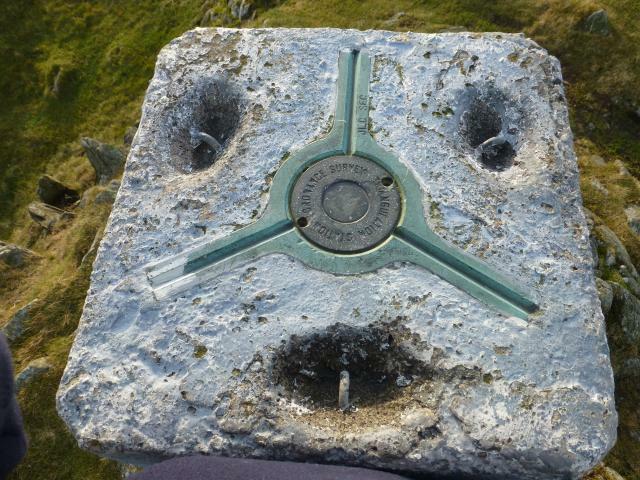 Just over a thousand feet. 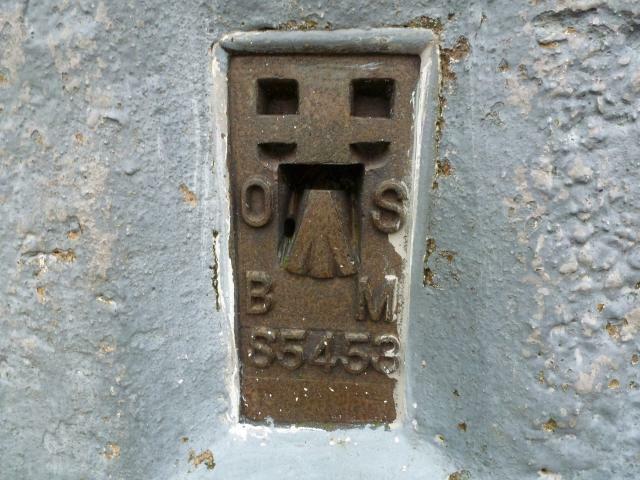 Painted white, plug missing. Visited to record FB number. 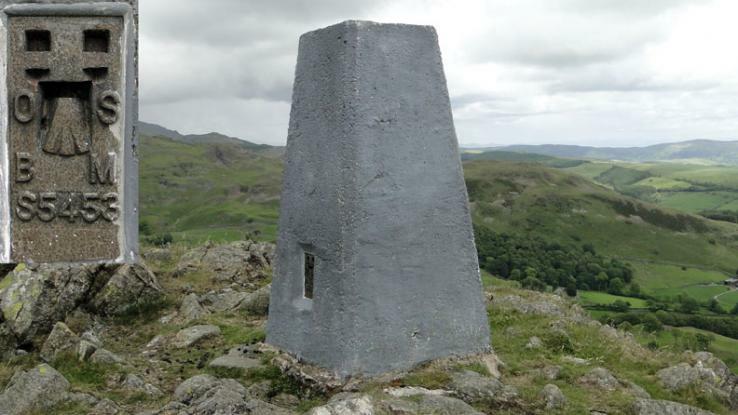 The pillar was completed in May 1949 costing �15.6s.0d. 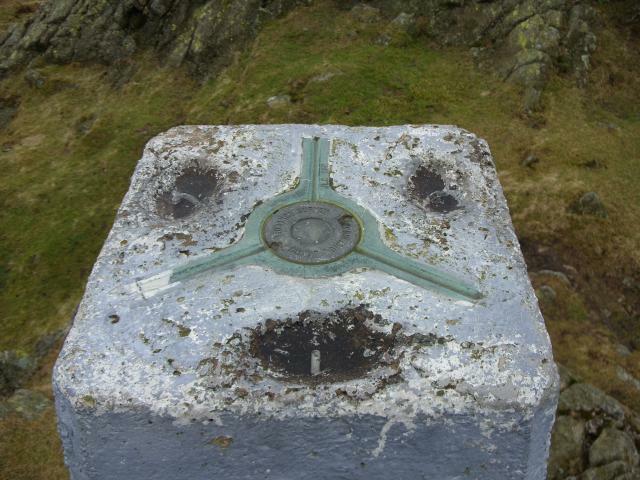 In 1950 this marker was computed for triangulation as tertiary station SD47/T17 in the Barrow-in-Furness secondary block. 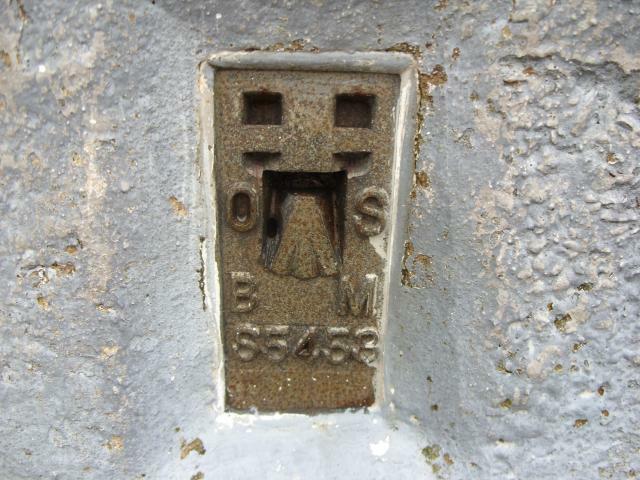 Flush bracket S5453 was levelled for height also in 1950. 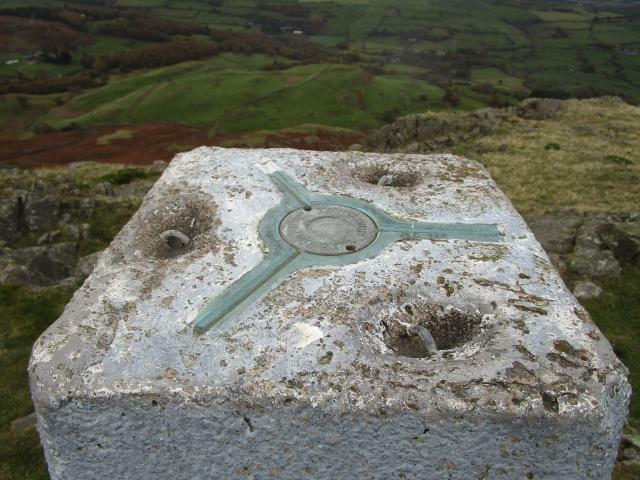 This trig point was last maintained by the OS in August 1977. 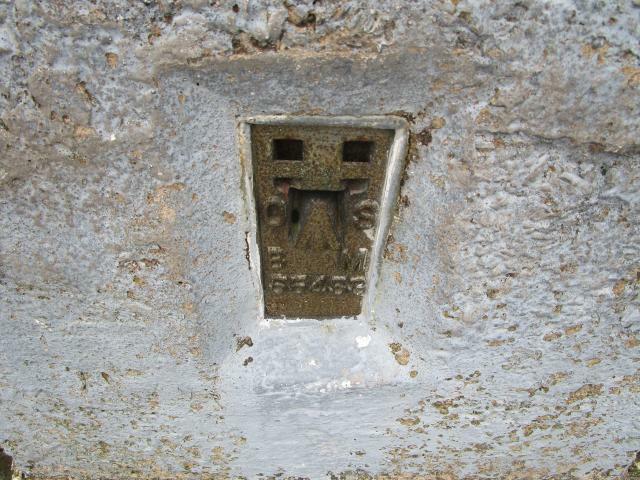 Spider still had original OS centre plug with shallow engraved letters in July 1991. 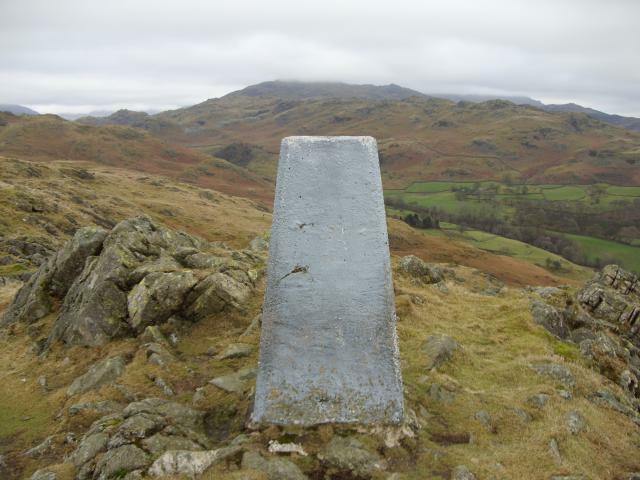 Foxfield Station - Broughton - Great Stickle - Seathwaite. Very hot and hazy.